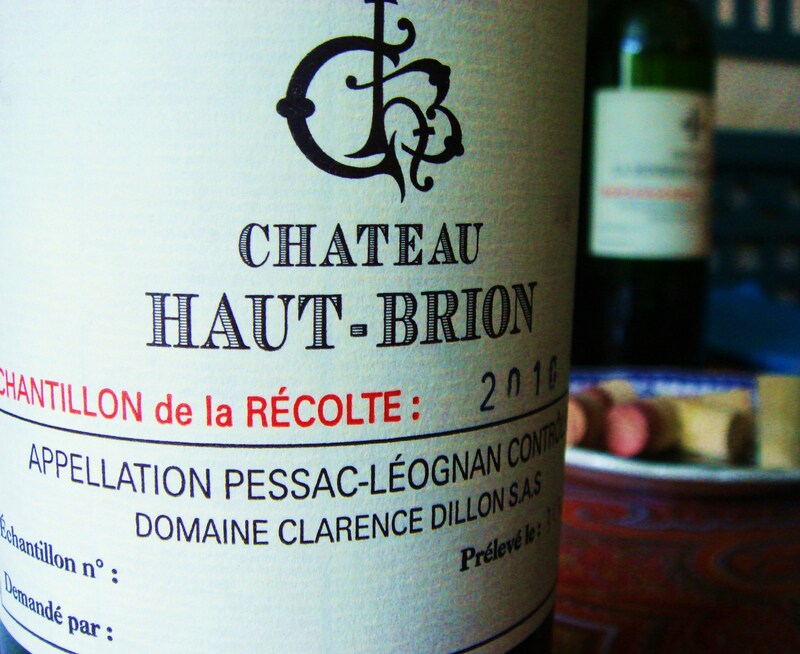 Terrific wines are made at Château Haut-Brion which has been owned by the American Dillon family since 1935. The red wine is wonderfully complex and roasted in character. The second wine is Le Clarence de Haut-Brion, formerly Bahans Haut-Brion. The white wine, Haut Brion Blanc is a remarkable white wine that ages extremely well and is extremely concentrated and structured on the palate. Estate manager in the 1970s and 1980s Jean Delmas was widely regarded as one of the most talented wine men in Bordeaux. I’ll further update this page soon. Vineyard/Terroir: 51 hectares planted with 45% Cabernet Sauvignon, 37% Merlot and 18% Cabernet Franc. A few hectares of white varietals comprise 63% Semillon and 37% Sauvignon Blanc. Winemaking/Elévage: White is fermented and then aged for 12-16 months in new oak and the red is fermented in stainless steel and aged for 22 months [in some vintages up to 30 months] entirely in new oak. 2010 Deep looking; creamy aromatics; very attractive purity; blackcurrants, earth and spicy notes; creamy; full palate with a nice seam of fruit; layered and intense; very mannered palate and feels completely proportional; long [and warm] finish. A fraction reticent on the day amongst the first growths, so feel I may be underrating this. Drink 2018-2035. 96+ MW Institute Nov ’14 [Earlier note] Saturated and tight to the edge; very dense; some blue-ish tinge; very deep and layered nose; wonderful layers; some smoke too; very intense and sublimated feel on the nose; richer and seemingly even plusher than La Mission; velvet palate; real ripeness and some liquorice and tar; but very polished indeed. Lots of tannin here, very ripe, but bathed in ripe fruit. Great length overall. Didn’t notice the high alcohol in infact unlike La Mission. Balanced by the acidity. Terrific. [57% Cabernet Sauvignon, 23% Merlot, 20% Cabernet Franc, alcohol 14.6% IPT 80 pH 3] 98-100/100. Tasted 4 April at the chateau. 2008 Mid depth; some gravel, earth, oak and leaf; nice rose petal component; layered and very attractive nose; very complete and attractive palate; some earth, blackcurrant and tobacco, spices and herbs too with espresso tones on finish. Quite elegant. Complete and very well mannered overall. 95+ MW Institute Nov ’12. 2007 Mid red; depth; attractive nose; some gravel and herbal notes; menthol, earth and tapenade notes on the nose; clean and full on the palate; density and pretty big with a lot of grip to the tannin. Good length, just that dryness to the tannins. 92/100 MW Institute Nov ’11. 2010 Pale straw; peaches, passion fruit and guava; very attractive nose with real power behind; some lees on the palate alongside this very fresh fruit; real concentration and depth; full bodied and powerful. Bewildering length and depth. Much more obvious fruit here [much more Sauvignon] and less oak dominated than the La Mission’s Blanc. Flawless to me. White wine can surely get no better? [54% Sauvignon Blanc, 46% Semillon, alcohol 14.4%] 100/100. Tasted 4 April at the chateau. 2010 Dark, deep; more purple in the meniscus; cream; floral tones; layers, quite fat feel; creamy yet muscular; violets here; good entry, very supple palate; very rich indeed; focused; good density and very attractive. Really good grip at the end with length. Very good. Hardly a ‘second wine’. [52% Merlot, 36% Cabernet Sauvignon, 10% Cabernet Franc, 2% Petit Verdot,, alcohol 14.4 IPT 73 pH 3.5] 93-95+/100 Tasted 4 April at the chateau.